The Kaduna state Commissioner of Police, Shehu Usman, while speaking to newsmen, confirmed the arrest of the owners of an illegal arms factory in the state. 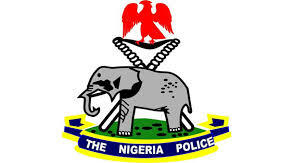 He said detectives attached to the command, acting on a tip off, arrested the suspects in Kaura and Zangon Kataf council areas of Kduna state. Usman said “The suspects in their various arms manufacturing factories in Southern Kaduna area, manufactured and supplied arms and ammunition to criminal elements operating there." Adding that “The suspects are one Isah Yahaya, Zamari Peter, Baye Tswan all of Mabushi in Kaura Local Government Area and Felix Paul of Samaru in Zangon Kataf." “Items recovered from them include four manual hand drilling machines, six electric drilling machines, three gas cylinders, three bench vice, two dane guns, one 7.62mm ammunition, three 5.56mm ammunition, two tiger generators, a box containing different parts of locally made pistols and rifles and a tool box for the fabrication of rifle parts,” the Kaduna state police boss said.